Vail is a small yet fast-growing unincorporated community located in the southeast outskirts of Tucson. This is a family-friendly and conveniently located place with easy access to employers like Raytheon and The University of Arizona Science & Technology Center. Vail has become quite popular over the last couple of years and is developing rapidly. As such, there has been plenty of new construction with a wide choice of subdivisions offering an excellent selection of homes for sale in Vail. It’s no wonder Businessweek Magazine named Vail as the Top Place to Raise a Family in Arizona (2012)! There are a number of points-of-interest to enjoy near Vail real estate. 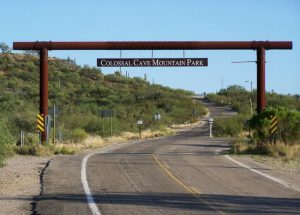 The Colossal Cave Mountain Park is located in the area. This is one of the best caves to visit in Arizona and is listed on the National Register of Historical Places. In addition to its fascinating caves, the park features horseback trail rides, picnic and camping facilities, and a butterfly garden. It is also home to the Civilian Conservation Corps Museum and the La Posta Quemada Ranch Museum. The Del Lago Golf Club is also located in the area. This club’s beautiful course provides a fun yet challenging golf experience. There are also banquet facilities and a pro shop. Vail real estate is a fantastic choice for homebuyers with children. In addition to offering a safe and tranquil environment, Vail is serviced by the acclaimed Vail School District. Nearby schools include Ocotillo Ridge Elementary, Desert Sky Middle School, Empire High and Cienega High. Homes in Vail come in a variety of architectural styles including contemporary, southwestern and Santa Fe. Many of these homes come with stunning mountain views of the nearby Rincon Mountains. Current real estate prices range from approximately $70,000 to about $800,000. To begin your search for available Vail homes for sale, please contact the area experts at Professional Choice Real Estate for an amazing home buying experience!